One Friday afternoon my department at work went on a team-building outing to get pedicures. We went to a nice nail salon about a block from our office and got our feet pampering. This was perfect to help get our feet ready for summer. Salon pedicures are awesome, but there is one thing that is stressful about them. Picking the nail color. Typically when I pick out nail colors I go for shades of pink or purple or a lighter blue if I’m looking to mix things up. This time I decided to pick a color that I hadn’t used before and hadn’t ever considered for a pedicure. I also wanted something that was bright, fun and reminded me of summer. It was a little hard to find that type of nail color because most of them were pinks with some blue, red and purple thrown in. As I was browsing the shelves, my eyes found the small section dedicated to the orange nail polishes. My eyes quickly rested on a color that oddly enough spoke to me. 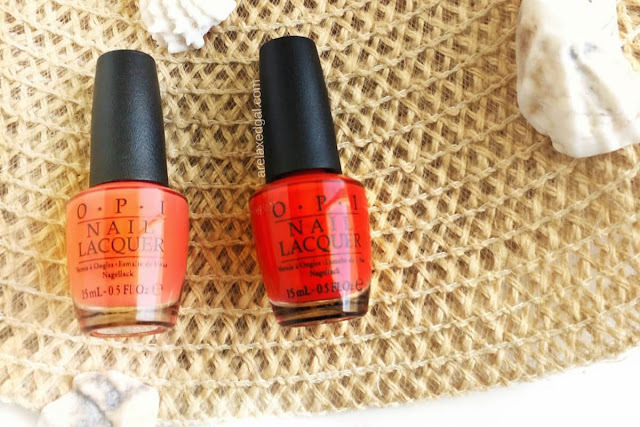 That color was My Paprika Is Hotter Than Yours by OPI. The color is what I would call a hot orange with a touch of red. 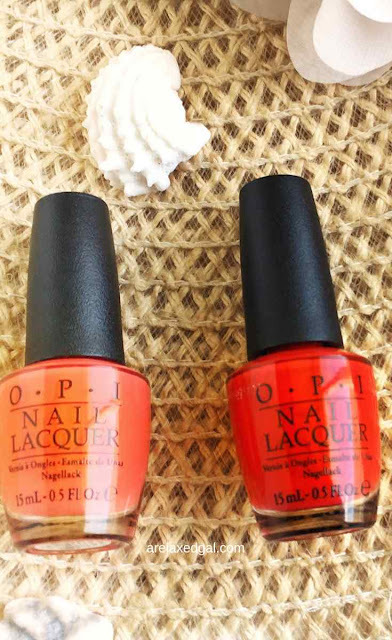 While the color spoke to me I was a little skeptical when I picked it up, but when I saw it on my toes I loved it! It really complimented my skin tone and had just the right amount of red so my nails didn’t look like a pumpkin or orange crayon. This was the first salon pedicure I’d gotten in….a few years I think. Now don’t freak out, while I don’t get salon pedicures I do my pedicures at home. And since I loved the My Paprika Is Hotter Than Yours nail color so much I decided to see if I could find it for myself. The sad news is I couldn’t. I went to two different Sally Beauty Supplies and one Ulta, but to no avail. The good news is I ended up finding a color that is really close - Aloha by OPI. When I went to Sally’s they were having a sale on nail polish so I bought another color that I think is also great for summer and can carry over into fall. That color is Big Apple Red by OPI. It’s been a while since I’ve had a true red nail polish which is another reason I selected this color. I love how bright these colors are and will be adding them to my color rotation for my summer pedicures. What are your favorite nail colors this summer?